Michela and Francesco are a lovely couple. You probably have already seen them if you follow my stories! If you’ve missed them, you can catch up here: Engagement at Fiesole. We met for a session of couple portraits in Spring and it ended up being useful, especially for the camera-shy bride. I was able to help her overcome shyness! The day of the wedding was magnificent! I left from Florence with Daniela (the second photographer) and we started with pictures of the groom’s preparations. After immortalizing his excitement, we went to the bride. She was quite relaxed: thanks to the engagement in Fiesole we already knew each other and the camera was no longer scary. I am a professional and discreet photographer, yet I immediately made friends with her relatives. This is what the bride texted me on WhatsApp: “… I liked the fact that you never embarrassed me and whenever I was feeling awkward you cheered me up! You have been very discreet at reception … ” It was very nice for me to receive words of appreciation about this aspect of my work. It is very important for a professional wedding photographer. The ceremony was celebrated with a simple religious ritual. 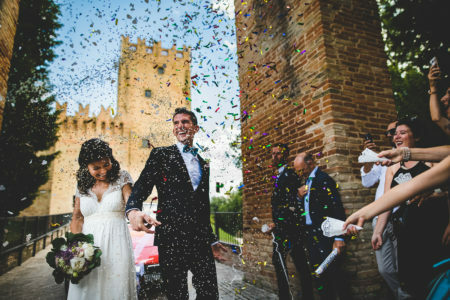 It was the first time for me as wedding photographer in Bagno a Ripoli. The wedding reception at Borgo di Fontebussi in Cavriglia was very nice. 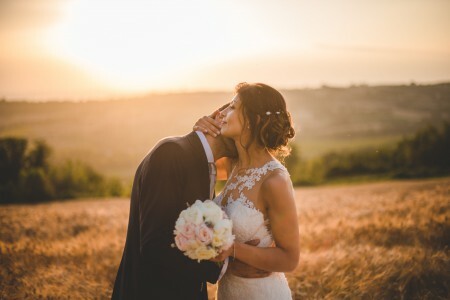 Borgo di Fontebussi is a perfect for wedding venue in Tuscany and works well even for wedding photos. The session of couple portraits was very romantic but very funny at the same time. The gorgeous light and the alleys of the Fontebussi Village did the rest. 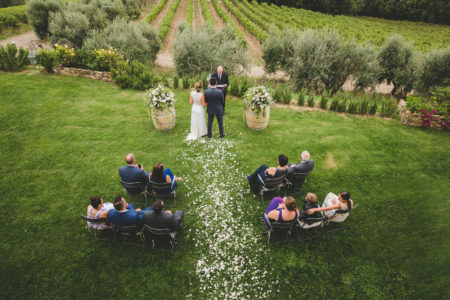 Such a beautiful wedding in Borgo di Fontebussi! Special thanks to my friend and colleague Daniela for the collaboration. I hope you will like the photos!